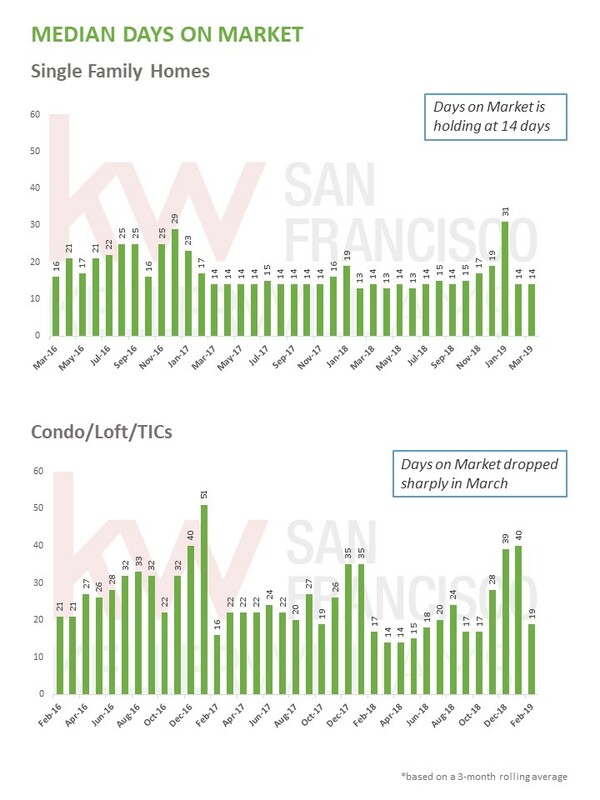 While San Francisco’s single-family home sales prices rebounded in March, they are still down 4% from 2018’s level. 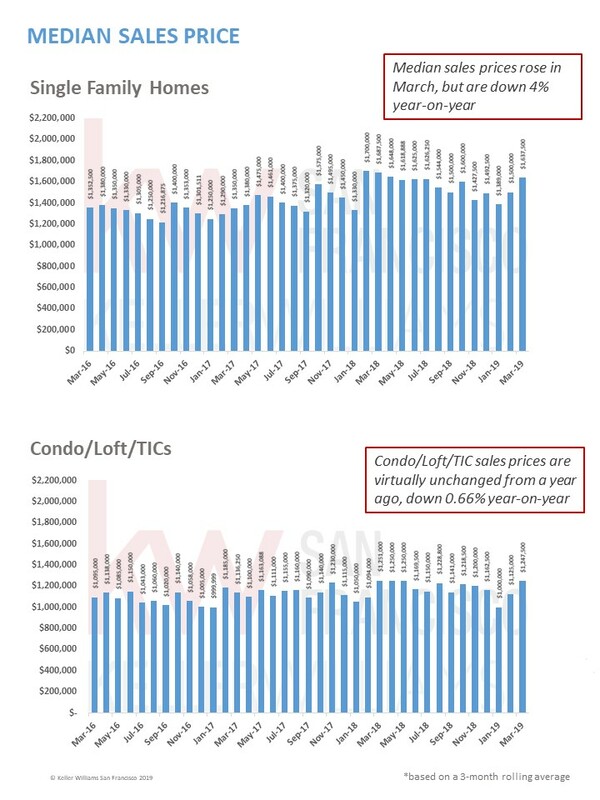 Condo/Loft/TIC sales are faring slightly, but not significantly, better. 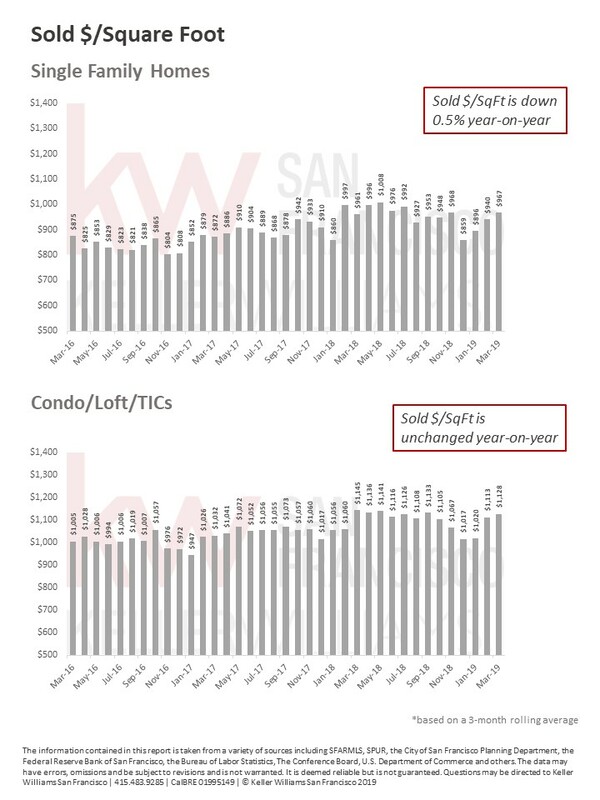 Sales prices, sold price-per-square-foot and selling time are virtually even with 2018. 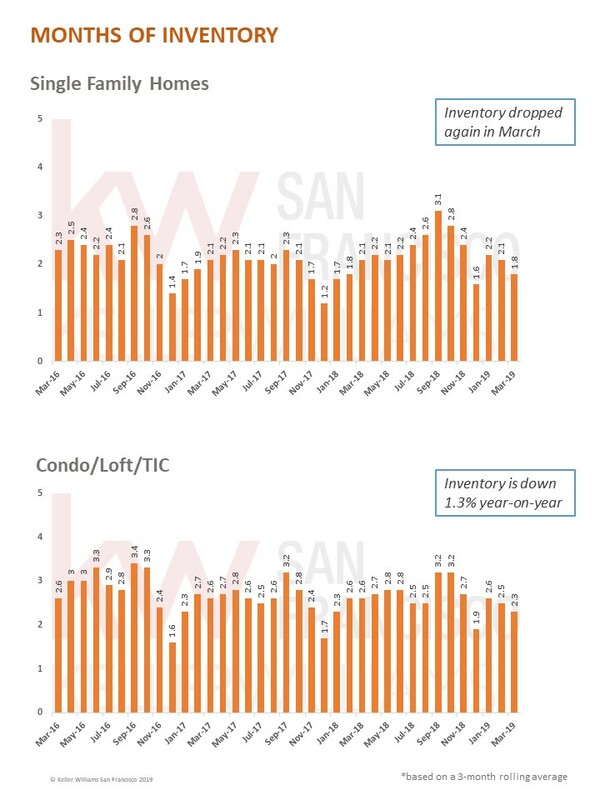 The slightly lower inventory level may be contributing to these results. It remains to be seen if the hugely successful Lyft IPO will raise overall buyer confidence and the number of buyers in San Francisco. 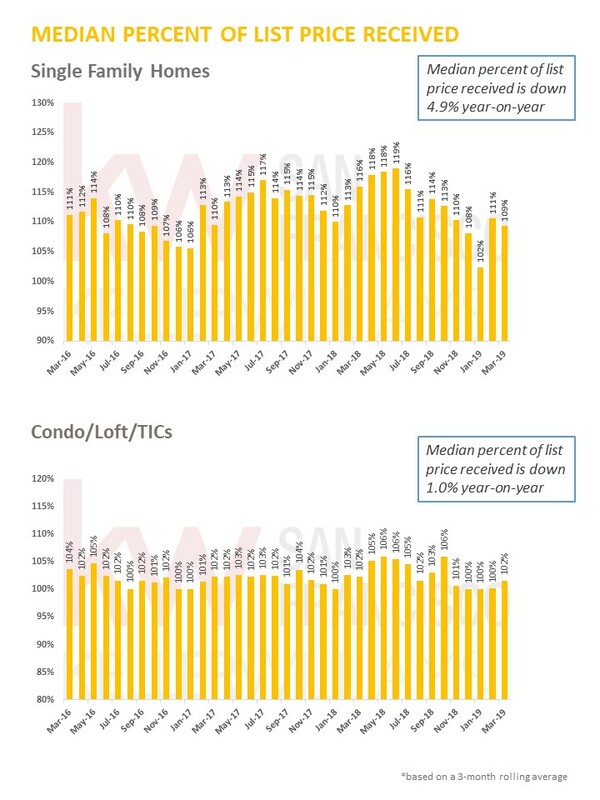 The city’s other planned IPO’s, depending on how many materialize and how they fare, could also add more cash-rich motivated buyers to the market. 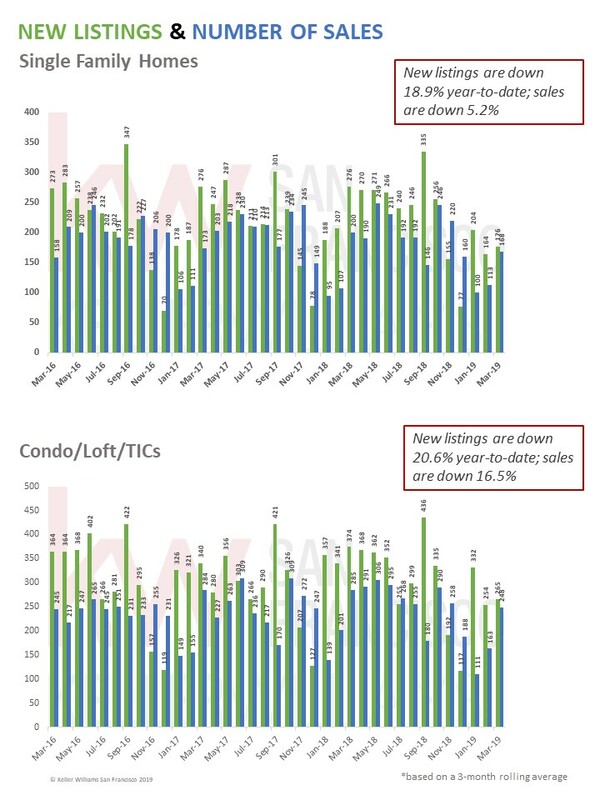 Another factor that may help buoy prices and fuel more sales in 2019 is lower interest rates, which are down sharply. 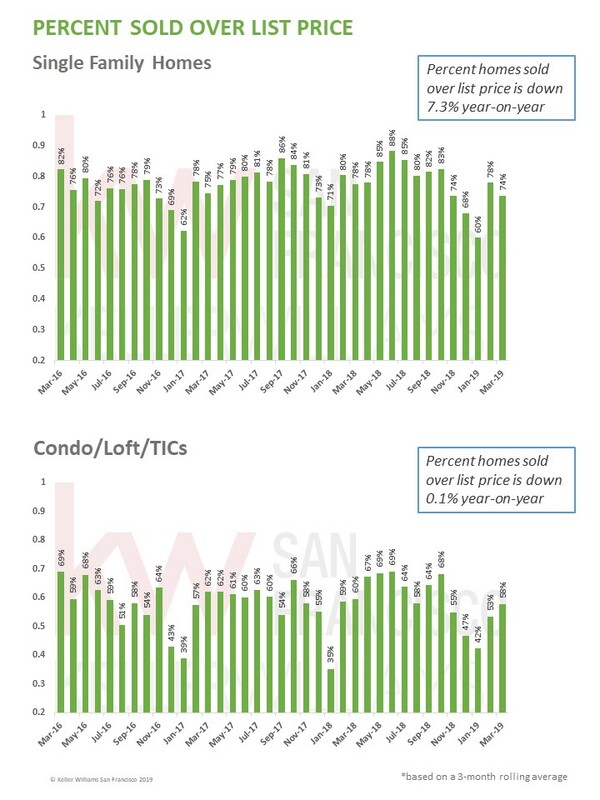 This entry was posted in Home Buying Resources, Market Reports, San Francisco Real Estate and tagged Market Report, San Francisco Real Estate Market. Bookmark the permalink.